Arthritis in cats refers to the general condition of joint inflammation; there are several types of arthritis, but osteoarthritis is the most common (and the one mentioned here), especially among senior cats. One study found 90 percent of felines over age 12 had evidence of a degenerative joint disease on their x-rays. 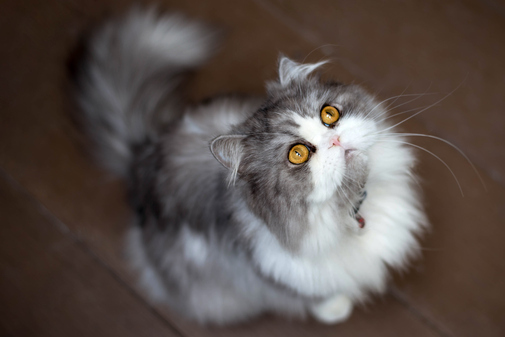 As your cat ages, experts recommend increasing your vet visits to twice a year to maintain your pet’s health and detect chronic diseases – like arthritis – early. Learn how to prevent this debilitating disease and recognize the warning signs of arthritis in cats. Osteoarthritis, a type of degenerative joint disease (DJD), occurs when the soft, spongy cartilage surrounding the joints begins to deteriorate. The primary cause is old age – 12 is the average age of diagnosis – but pet obesity also contributes to development. According to Banfield Pet Hospital, 73 percent of cat owners are not aware of the link between feline obesity and arthritis. 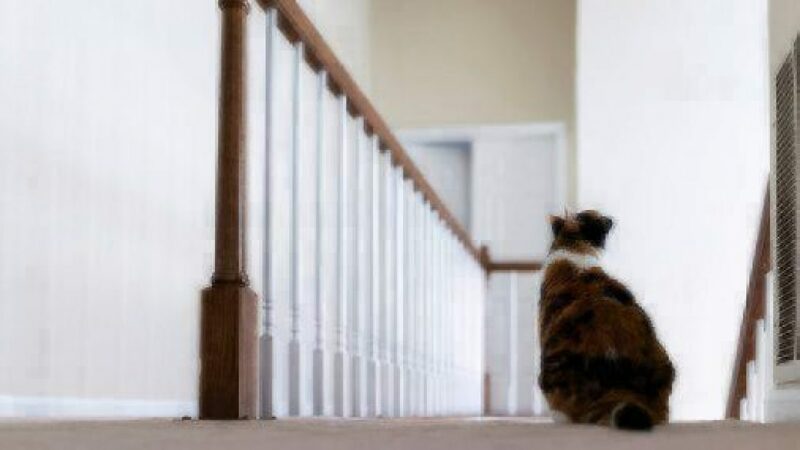 Both obesity and arthritis in cats are on the rise, with arthritis increasing 67 percent from 2006 to 2011, according to Banfield’s 2011 State of Pet Health report. Overall, a cat suffering from arthritis will have limited range of motion in his/her joints. Irritability from joint pain may also occur, especially in the hind legs. Keep an eye on your pet’s physical abilities and limitations, especially with aging felines. You know your pet best – if you notice any sudden, unusual changes in your pet’s behavior, visit your vet immediately. If the aforementioned symptoms of arthritis are present, make an appointment with your vet. They’ll perform a physical examination, noting your pet’s joint range of motion as well as any deformities, pain or swelling. X-rays, blood tests, and urinalysis may all be conducted throughout the course of diagnosis in order to rule out other medical conditions or determine the severity of your cat’s arthritis. Vet-prescribed medication is the most common treatment for arthritis in cats, typically anti-inflammatory drugs (NSAIDs) to reduce joint swelling and alleviate pain. Physical therapy is also an option to increase and maintain joint motion. Types of feline physical therapy include motion and strength exercises, massage, acupuncture, and laser treatments. In some cases surgery is an option; procedures include joint reconstruction or replacement or removal of aggravating bone and cartilage near joints. Avoiding trauma and excessive pressure on joints –– incidents such as car accidents, high falls/jumps, and obesity can contribute to future arthritis –– is essential but almost impossible! Feeding your cat a healthy diet is also key, as is providing regular exercise to keep joints in good shape. If your cat is overweight or obese, work with your veterinarian to develop a weight loss plan and diet. If your cat has already developed osteoarthritis, the condition cannot be reversed, only controlled. Closely monitor your pet’s condition and make regular vet appointments; a change in medication or even surgery may become necessary as symptoms progress. To avoid causing pain, limit physical activity and focus on interactive toys, rather than toys that encourage jumping or pouncing. You can modify your home to be easier on your cat, such as placing pet ramps up to your feline’s favorite perches. However, continue to provide your pet with mild exercise even after an arthritis diagnosis, as regular activity helps to relieve pain and keeps joints loose. You can also ask your vet about dietary supplements like glucosamine, chondroitin, or omega-3 fatty acids, which are thought to relieve inflammation. Reminder: Never give your pet any substances without a vet’s approval! Knowing and recognizing the symptoms of common injuries and illnesses helps to prepare a pet parent, and signing up to protect your pet with pet health insurance is one of the best things you can do (both for your pet and for your wallet!). Start by getting a free quote today.